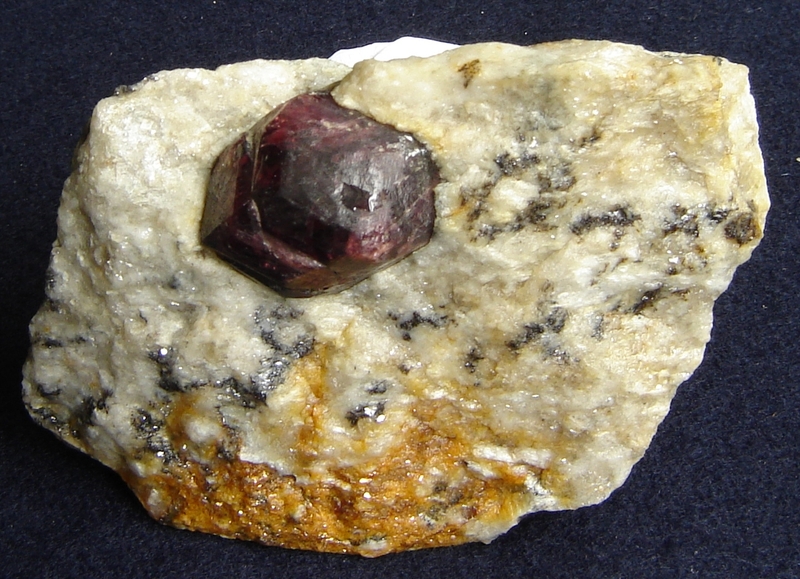 Almandite, sometimes called almandine, is the modern gem known as carbuncle (though originally almost any red gemstone was known by this name). 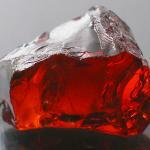 The term "carbuncle" is derived from the Latin meaning "little spark." 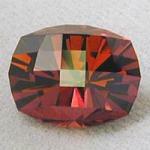 The name Almandite is a corruption of Alabanda, a region in Asia Minor where these stones were cut in ancient times. 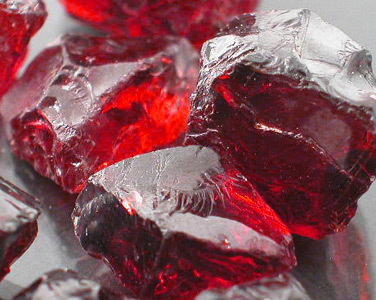 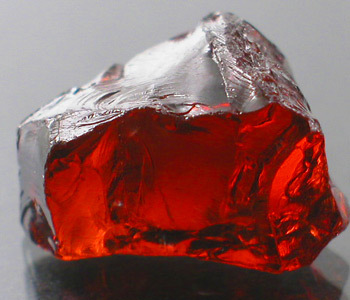 Chemically, almandite is an iron-aluminum garnet with the formula Fe3Al2(SiO4)3; the deep red transparent stones are often called precious garnet and are used as gemstones (being the most common of the gem garnets). 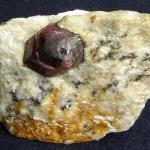 Almandite occurs in metamorphic rocks like mica schists, associated with minerals such as staurolite, kyanite, andalusite, and others. 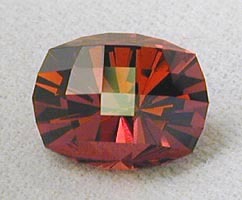 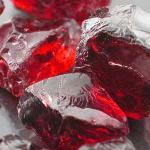 Almandite has nicknames of Oriental garnet, almandine ruby, and carbuncle.